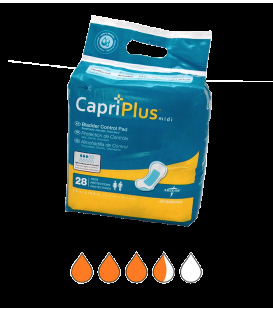 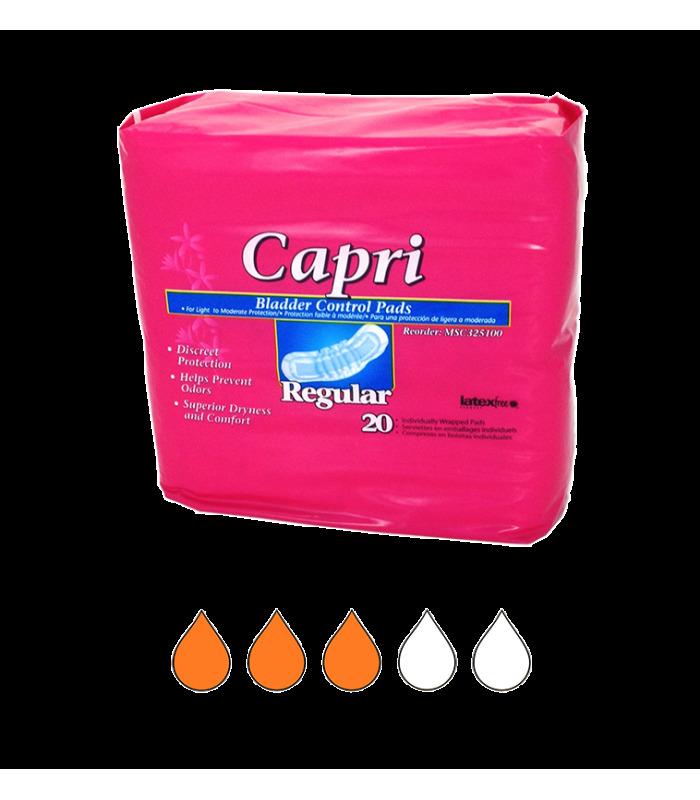 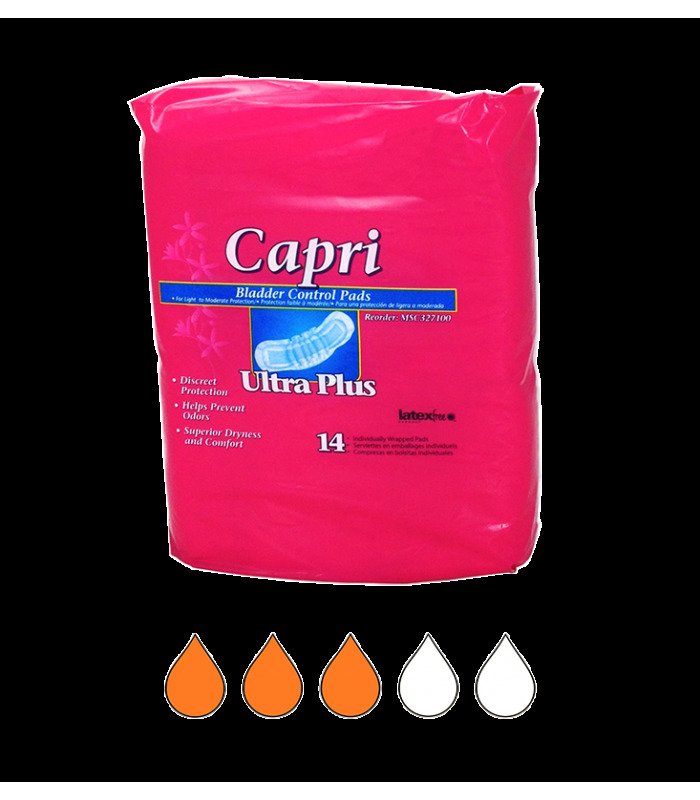 Capri Bladder Control Pads are individually wrapped for portability and discreetness. 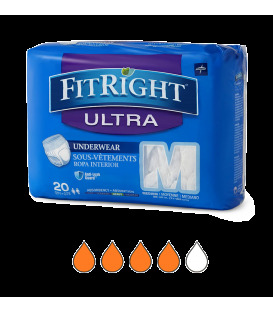 They offer light incontinence control with a breathable cloth-like outer cover for a dry feeling against the skin. 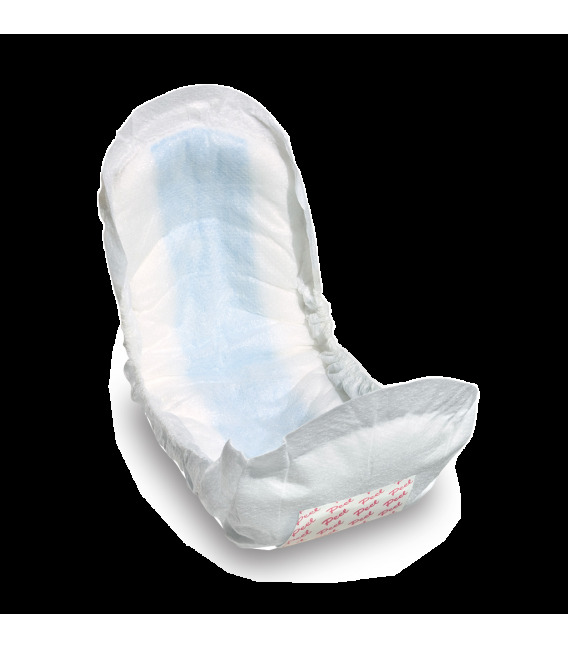 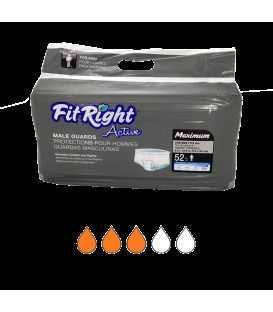 REGULAR 2.75"x9.75" • XTRA PLUS 3"x10.5" • ULTRA PLUS 3.25"x13"
The elastic leg gathers help prevent leaks and the super-absorbent polymer improves dryness, containment, and skin care. 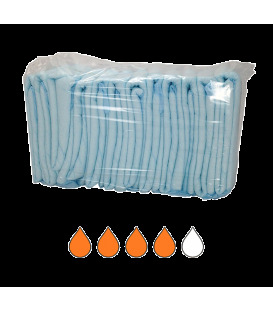 Adhesive strip keeps pad in place. 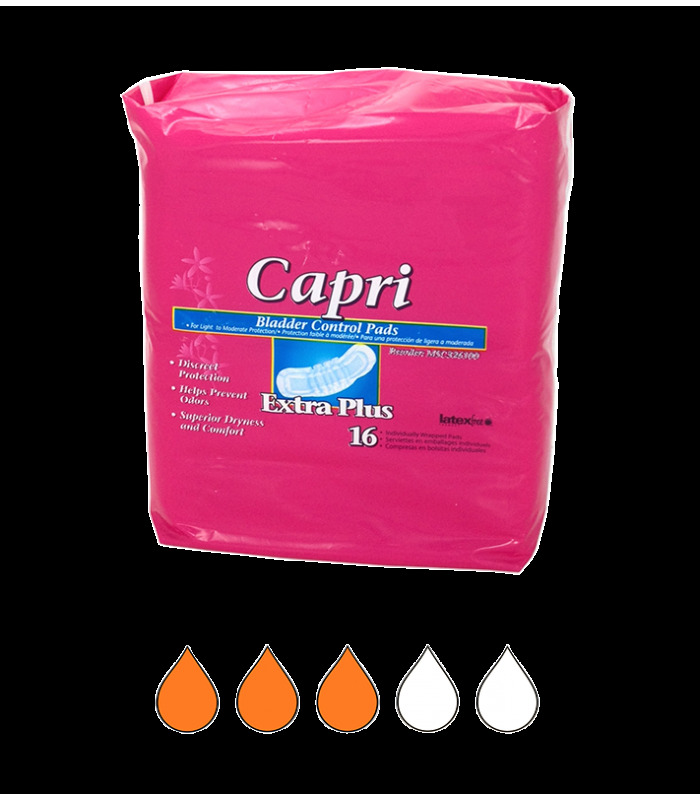 Size printed on the back sheet identifies product size for a better fit and improves ease of care.